The United States is inflicting long-term damage on its own government and economy, condemning thousands of Americans to needless financial despair, jeopardizing public health, undermining airport security, and preventing cancer patients from accessing much-needed medical care — because Republicans want to spend 0.11 percent of the federal budget on a border barrier that Democrats find symbolically problematic. Given this state of affairs, it would be reasonable for a low-information voter to condemn both parties, in equal measure, for putting ideological purity above the national good. But it would be a dereliction of duty for a television journalist to do the same. Alas, on Thursday night, CNN’s Chris Cuomo did precisely that. One can reasonably object to the Democratic Party’s position in the shutdown fight. As indicated above, the immediate consequences of caving to Donald Trump’s demands — and appropriating $5 billion for border barriers (that are fairly similar to those that Democrats have supported in the past) — are far more innocuous than the immediate consequences of allowing the president to paralyze the federal government indefinitely. But one thing you can’t do, if you consider yourself an objective and responsible political analyst, is suggest that both parties are equally responsible for the existence of the current standoff. The root cause of the shutdown was not a bipartisan failure of “job performance,” but rather, the president’s decision to deliberately inflict suffering on the American people, as a means of coercing a coequal branch of government into doing his bidding. During times of divided government, when two coequal branches cannot reach agreement on an issue, it is not legitimate for one branch to use its technical authority to shutter large swathes of the government as a means of forcing action on its priorities. Thus, the government should be immediately reopened while debate over the president’s border wall continues. Now, Democrats did, themselves, violate this rule almost exactly one year ago. But that does not render the rule itself illegitimate, or change the basic facts of the present situation — i.e., that one party wants to reopen the government, and conduct intra-branch diplomacy by conventional means while the other does not. There are also significant distinctions between the last shutdown and the current one. First, and most obviously, Democrats ultimately decided in 2018 that they could not justify maintaining a shutdown for longer than three days. Second, the Democrats’ flirtation with hostage-taking was, itself, a response to an act of presidential hostage-taking: The Trump administration canceled an Executive branch program that protected Dreamers from deportation on grounds that multiple courts subsequently deemed to be fraudulent; the president then explicitly endorsed congressional action to provide Dreamers with some form of legal status — but refused to approve legislation that did precisely that because it did not also include restrictions on legal immigration that many in his own party opposed. Which is to say: The president exposed 700,000 people to the threat of deportation, in hopes of coercing Congress into passing immigration legislation that it would otherwise reject. Neutral political reporters do not necessarily have an obligation to take a normative stance on the propriety of procedural radicalism. But when one party in a dispute decides to deploy a hardball tactic, such reporters do have an obligation to accurately describe who has introduced procedural radicalism into the fight, what their rationale is for doing so, and whether that rationale is consistent with verifiable facts. Cuomo’s tweet failed to communicate any of those things — despite the (exceedingly salient) reality that the president’s rationale is transparently disingenuous. The evidence that Trump is acting in bad faith is so voluminous and varied, it’s hard to know where to begin. No credible immigration experts — including conservative ones who consider the influx of Central American migrants to be a crisis — believe that a border wall is an effective means of deterring migrants from exercising their legal right to seek asylum in the United States. And the Trump administration hasn’t offered any detailed explanation for how that could possibly be the case. What’s more, if the president’s claims were all true, then his refusal to shutter the government to force action on wall funding during his first two years in office would be inexcusable; however one chooses to describe conditions at the U.S. southern border, they have not radically changed over the last two months. If there is a “crisis” now, then there was a crisis last year. Thousands of emergency responders, including local volunteers and FEMA reservists, are also missing courses in firefighting and emergency response at centers in Georgia, Maryland and Alabama right now. Suffice it to say, one can’t credibly claim that a shutdown is justified because America is suffering from a crisis of border security if a shutdown undermines the security of America’s borders.The objective truth about the shutdown is that the president is deploying an immensely destructive hardball tactic for reasons that are nonsensical at best, and maliciously dishonest at worst. 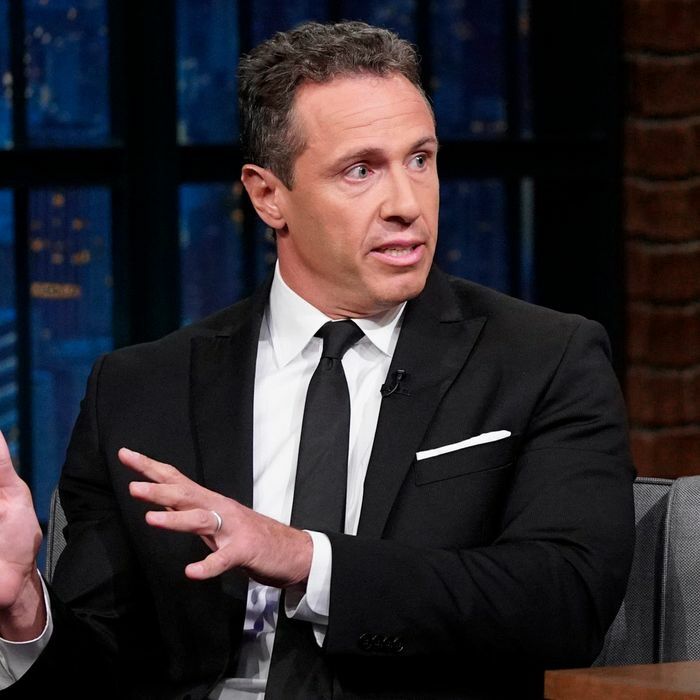 Chris Cuomo is welcome to argue that Democrats should reward Trump’s use of a tactic that inflicts widespread harm on the populace — and which the president himself cannot coherently justify — because the costs of allowing the shutdown to continue outweigh the moral hazard of incentivizing future abuses of power. But refusing to assign primary responsibility for the shutdown to Donald Trump does not make the CNN anchor objective; it makes him complicit in the president’s misrule.